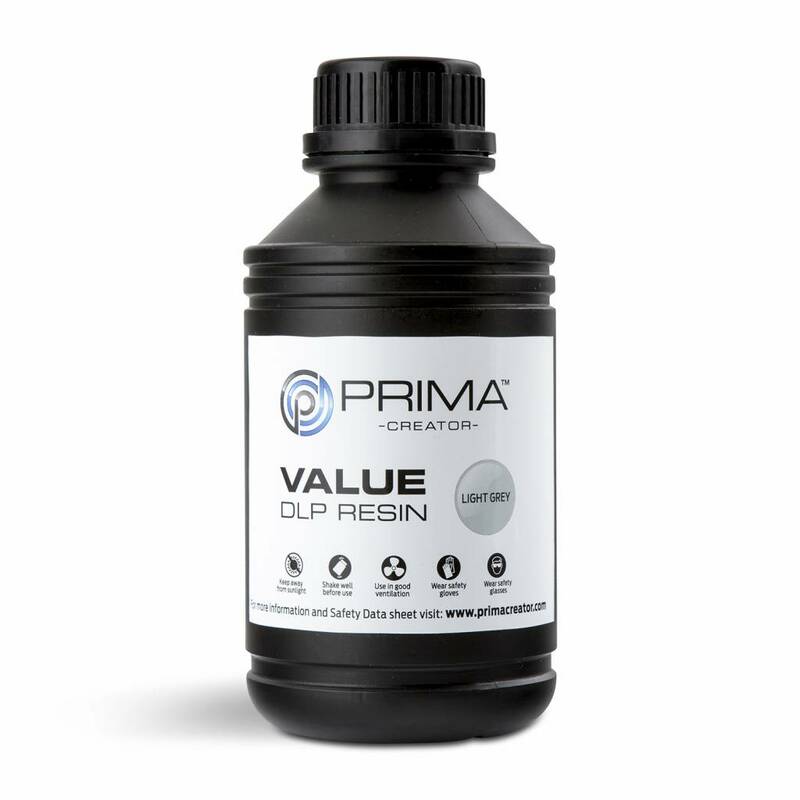 When you want astonishing results for less cost than many other brands - PrimaCreator VALUE resin should be your first choice! Resin from our VALUE line is a high-quality resin made from the best materials. Your prints cures in sunlight or a UV curing chamber. When the curing is finished, the result is a rock-hard print with very small shrinkage. The finished print is a solid colour part with a beautiful semi matte surface with excellent details and smooth layer transitions. If you go for the transparent resin you will have a crystal-clear transparency which is truly stunning. 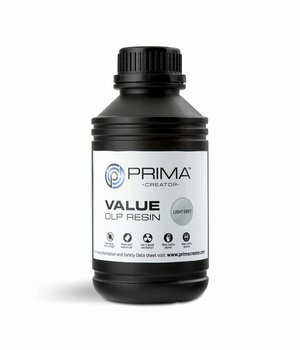 VALUE resin has many benefits over other brands of comparable resins. The most noticeable is that it doesn´t smell very much. VALUE resin is developed to perform well on low powered DLP machines such as the Wanhao Duplicator 7, SparkMaker Anycubic Photon, Zortrax Inkspire and other printers that uses UV light for curing. Optimized for UV Lightsource 395 – 405 nm. Fast curing time, 4 – 8 seconds per layer for quicker prints. After printing clean you print in IPA (Isopropyl Alcohol) to rinse of extra resin left. When it´s time for curing you can use sunlight or a uv curing chamber. In a UV light curing chamber, it will take about 2-5 minutes. In daylight on a cloudy day it can take up to 60 minutes.